There are millions of people with severe allergies who found their solution into EpiPens. They are spring-loaded syringes filled with epinephrine and are normally carried by people with life-threatening allergies. This medicine can reduce drastically allergic symptoms and reverse life-threatening allergic reactions. But the prices of these auto-injectors have soared, they quintupled since 2004. That is why many emergency medical responders — and some regular families — are turning to manual syringes as a cheaper alternative. Anyway, with the common syringe it turns out to be more complicated in getting the correct dose and administer it safely. Dr. James Baker, the CEO and chief medical officer of Food Allergy Research & Education affirms that the self-injection requires an extensive medical training, in order to avoid contamination or accidental intravenous injection. The story of Amie Vialet De Montbel is the concrete example of how many people are obliged to use nothing but the syringe. Her 12-year-old son suffers from a heavy allergy to milk that he has to wear a mask when he goes out in public. He was prescripted to take two 2-packs of EpiPens — one to take to camp, and one for home —and when at the cash she should have to pay $1,212 she was absolutely shocked. So, she did not buy EpiPens. Then, a nurse told Vialet De Montbel that, for about $20, she could buy a couple of glass ampules of epinephrine and regular syringes from a local pharmacy, and get the syringes filled with the epinephrine at a doctor’s office. They would expire in about three months, whereas EpiPens last about a year, but they could save her more than $1,000. So, she planned to get the syringes soon. 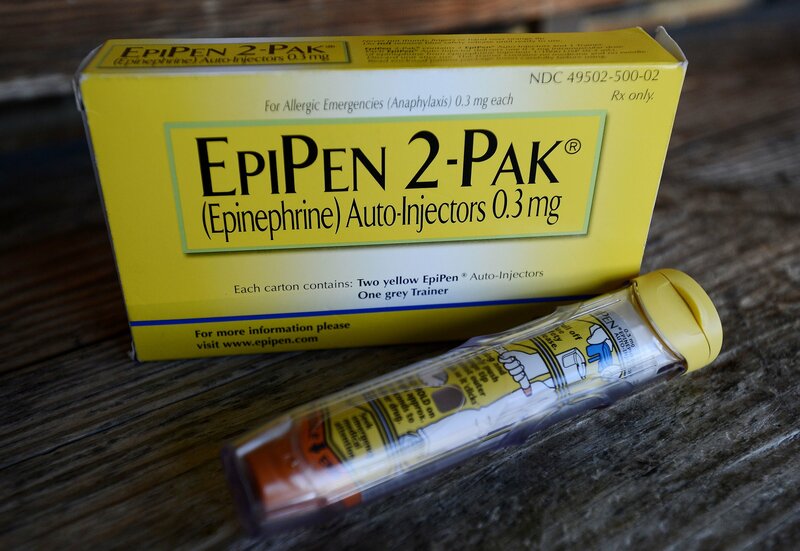 According to data provided by IMS Health, last year, over 3.6 million prescriptions for EpiPen kits were written.